A soothing bubble bath is one of my favorite things to do, especially after a busy day or a strenuous workout. My old apartment had a large claw-foot tub that was extremely difficult to climb out of—and not for the reason you think! I didn’t want to leave! Taking baths is a favorite pastime activity for many of us. In fact, it has it’s own special day—National Bubble Bath Day on January 8. Bubble baths are a great way to relax, to soak away stress and soothe aching muscles, tired feet, and an exhausted mind. I alternate using foaming bath products with bath salts and oils, because bubble bath products can be drying, but it’s just not as fun without those bubbles! There are a few potential down sides to taking bubble baths. As a person of color, I’m particularly susceptible to dry skin conditions, and long hot baths can further dry out the skin. Bath water that is too hot can aggravate certain skin conditions like eczema (atopic dermatitis) and can even be unhealthy if you have certain diseases like diabetes or have high blood pressure, conditions that affect many women of color. Here are tips to help you avoid the problems associated with bubble baths and to reap the benefits. Hot water increases blood circulation to the skin and increases the flow of oxygen, which is great when you have sore muscles and stiff joints. Hot water opens up the pores and helps release toxins from the body. Along with candles, the right scent, and soothing music, the warm water is simply heavenly, especially at end of the day. Avoid frequent hot baths. When the water is too hot the heat breaks down the skin barrier and makes it more prone to irritation and dryness, according to dermatologist Dr. Jean Ho. According to the Mayo Clinic, taking frequent hot baths can also lead to vaginitis, an inflammation of the vaginal area. A common form is a yeast infection. Hot baths don’t actually cause yeast infections but can cause you to become susceptible to them. Also avoid very hot baths if you have circulation problems, high blood pressure, diabetes, heart disease and are pregnant. If you can’t climb into the top comfortably, (and you tend to feel itchiness afterwards) it’s probably too hot. The water should be close to body temperature. When in doubt, consult your doctor about whether hot baths are safe for you. Certain ingredients could disrupt the natural balance of the vaginal area by killing off the good bacteria that controls fungus growth. Some ingredients might be irritating (like surfactants and fragrances found in store bought bubble bath and bath gels) and make the condition worse. Irritation, itching and burning can be symptoms of non-infectious vaginitis, caused by an allergic reaction to perfumes. 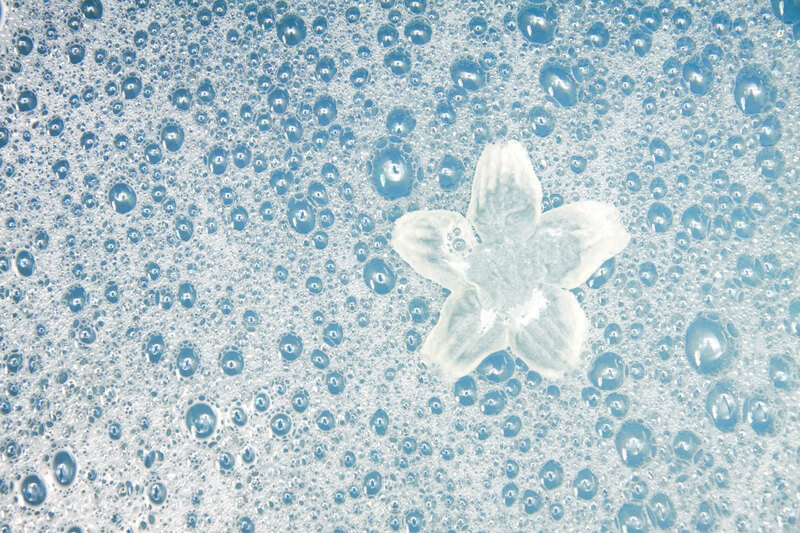 If using a heavily scented bubble bath, put a little baking powder (which helps to relieve irritation) in the bath. Also note that while bubble baths are soothing, they are not good for relieving vaginal dryness. 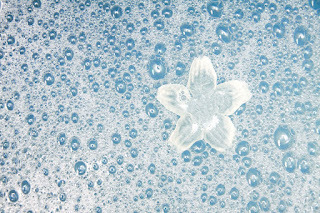 Check ingredients of store bought bubble bath if you have sensitive skin or tend to have allergies. Bubble bath can also aggravate these conditions. Don’t take bubble baths if you have a urinary tract infection, which could have ingredients that will hamper recovery. Dry Skin. Because you are typically in a bath for a prolonged period of time, if you have dry skin, certain bubble baths can strip away natural oils from the skin, resulting in flaky and itchy skin. If you have eczema, bubble baths (due to certain ingredients and hot water) can cause dry patches of skin to flare up. Use a bath soak that is free potentially irritating ingredients and that are made for muscle relief and dry skin. To control what is in your bubble bath, try making your own. It’s well known that Cleopatra enjoyed a bath of milk and honey. And for many of us, a long bath has once again become a luxury! Milk has lactic acid, which is good for exfoliating, while soothing and moisturizing the skin, and honey has antiseptic qualities and is also moisturizing. Add a light oil for extra softness and an essential oil to match the mood you’d like to evoke. You can pour the entire mixture under running water and swirl it around to distribute into bath water. If you use less, store any remaining mixture in the refrigerator. Use within two-three months. Mix ingredients in a glass or ceramic bowl. Pour into a large (preferably dark) glass airtight container. When ready to use, shake and pour ¼ cup under running water. I have been a professional writer for more than 30 years. I have written articles in the fields of travel, beauty, health, lifestyle and entertainment for numerous publications. ©2018 Gerrie Summers. All Rights Reserved. Reproduction or duplication of this material without prior consent is strictly prohibited.